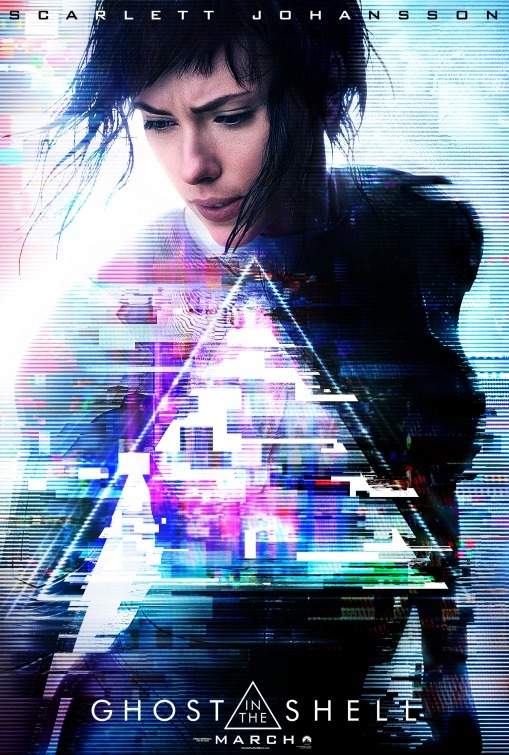 I had never seen the Anime animated version of Ghost in a Shell, so I went into the new film, starring Scarlett Johannson, completely free of expectations. I have only seen a minimal amount of trailers even for this film. I was the proverbial blank slate. Unfortunately, I was not that impressed with the live action version of the Japanese film. Honestly, I was pretty bored through most of it. Major (Scarlett Johannson) is the first of her kind. In a world where everyone had some kind of cybernetic enhancement, she was the first person to have her brain inserted into a fully synthetic body. The “ghost” in the “shell” if you will. Then we tried to find out stuff about her past while she does missions for the organization she was involved in. I have to say that I did not know what was going on wit this movie for much of the first two-thirds of the film. Because of that, I really found it dragging and I may have even been on the verge of dozing off once or twice. This was not the fault of Scarlett Johannson, who was very good as Major. There was a lot of controversy over her casting with the claims of whitewashing dogging the film. Johannson, who really needs to lead a Black Widow movie soon, was good here, but, admittedly, I believe there were several actresses who could have done as much as she did here. I understand why the studio chose Johannson though as she looked amazing all the time and she would definitely be a bigger name draw than other actresses that might be in the role. The backdrop of the movie was spectacular. The vision of the film was outstanding, with the creation of the world being clearly where most of the CGI budget went for Ghost in a Shell. However, the CGI was not completely breath-taking as there were several scenes, action ones in particular, where the CGI stood out as obvious. The visuals of the world behind the action was beautifully displayed consistently though. The story itself was long and dull and dragged along at a snail’s pace. It felt remarkably long despite it not being that lengthy of a film. They do touch upon the theme of “what is life”, but there is not enough detail to that theme to really make it worth it. I must say that one of the moments early on when I perked up was when the villain Kuze (Michael Pitt) showed up. He piqued my interest at first as I enjoyed the visual presentation of him. However, he was switched out of the villain role about halfway through the film and is replaced by a much less fascinating figure and what little good will I had built up with this character had been tossed aside. In the end, I did not enjoy a lot about the, admittedly beautifully designed, Ghost in the Shell. The story was weak, the tone was inconsistent and the acting was okay. The action scenes varied between decent and CGI spot fests. I hope the fans of the Anime and the original animated version of this film find this satisfactory, but as someone who has none of that background knowledge, Ghost in a Shell was not a good film.